The eternal city of Rome is steeped in such history and culture that it requires several visits for even the hardiest of visitors to take it all in. From the Roman Empire to the Renaissance and on to modern times, Rome has been at the forefront of cultural developments and offers a trip through history which will leave you gasping for more. For more detail on sites from Ancient Rome visit our page on Ancient Rome. 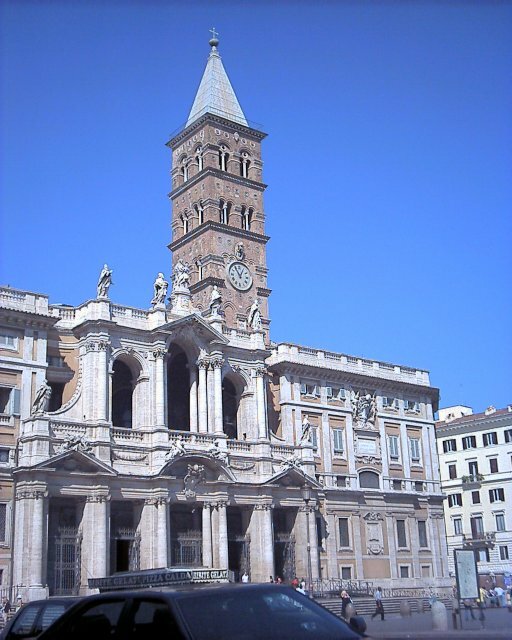 For more detail on sites from The Vatican & Renaissance Rome visit our page on The Vatican & Renaissance Rome. 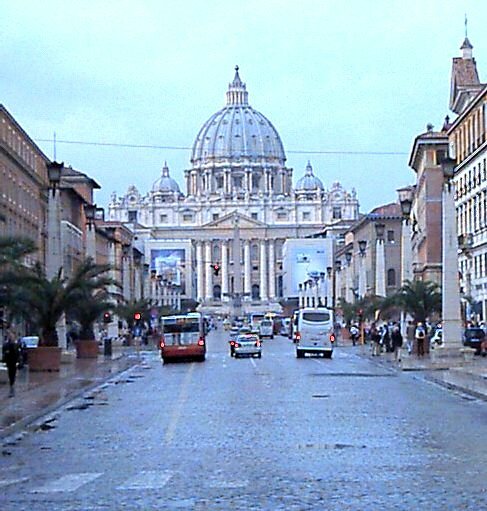 For more detail on sites from Modern Rome visit our page on Modern Rome. 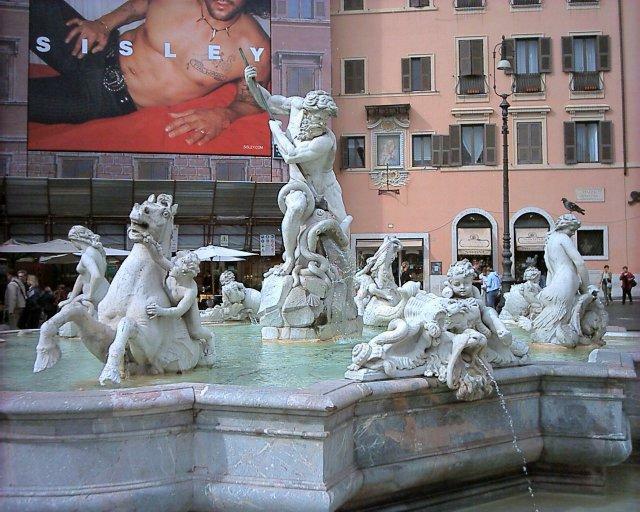 The bustling and popular Piazza Navona is full of cafes, tourists and street hawkers. You'll find the Fountains of Neptune and of the Moor at either end of the square. The Piazza is a good spot to take a rest and enjoy the passers by at one of the cafes but be warned that prices in the restaurants and cafes are high. 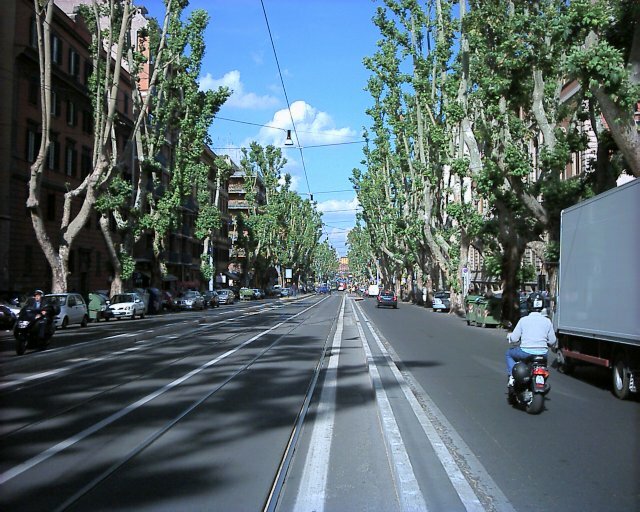 Removed from the main tourist areas, Trastevere is a quieter visit for the weary. You can stroll through the side streets of this artists quarter and stop off at one of the quaint cafes, have a drink at a bar or have a gelati. If you are interested in seeing a more realistic portrait of Roman life, put Trastevere in your itinerary. 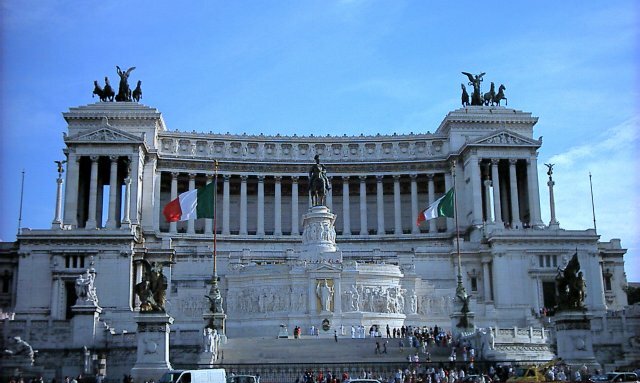 Situated next to the Vittorio Emanuele II Monument and before the Roman Forum, the Piazza del Campidoglio or Capitoline Hill is a square featuring the Senatorial Palace. In addition the Conservators' Palace and the New Palace in the piazza also house the excellent Capitoline museums. Close to Rome's Termini Station, the basilica of Santa Maria Maggiore dates back to the 5th century and possesses some excellent mosaics and paintings. The church is worth a visit solely for the ceiling decor. 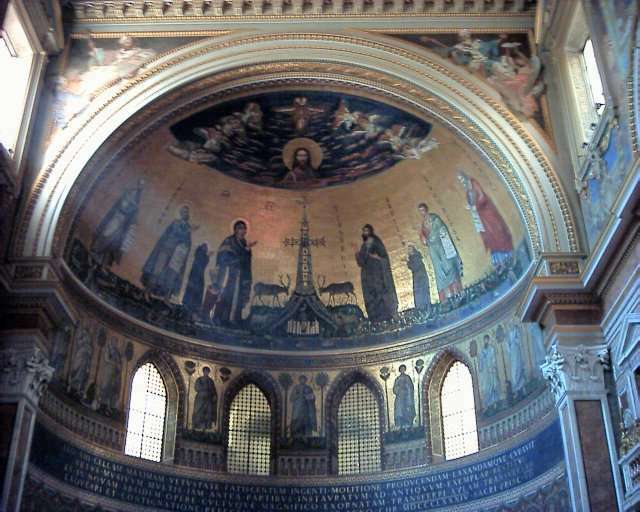 The cathedral of San Giovanni in Laterano is the main cathedral of Rome and home to the Bishop of Rome, the Pope. The Cathedral is enormous on the inside, possesses excellent mosaics and a beautiful garden with ancient tapestries and artifacts. It was first founded in the 4th century and destroyed several times but the present incarnation deserves a visit. The Piazza del Popolo in the Northern Part of Rome is a busy hub of activity for both tourists and Romans alike. The piazza is traffic free, has two nice church's side by side, a chapel on the north end and is a good starting point to explore the three shopping Vias of Del Corso, Babuino and Ripetta connecting at the Piazza. Rome is no stranger to fashion and the shops and boutiques will certainly tempt you in. Try the central Roman streets of Via Cola di Rienzo on the way to the Vatican, or the three streets forming the "trident" Via del Babuino, Via del Corso and Via di Ripetta. For designer boutiques stroll down Via Condotti on the way to the Spanish steps. For even more shops stretched over a couple of kilometres, try Appia Nuova, below the Cathedral of San Giovanni in Laterano where you'll find just about any type of shop you are looking for. Take a break in Villa Borghese, Villa Doria Pamphili and Villa Celimontana. You may want to take a break and have a coffee in one of the many cafes around Rome. Have a cappucino, a latte or a straight up espresso. Pasta is an Italian staple. Try the ravioli, penne, spaghetti or tagliatelle. Then decide on which sauce you'd like with it. Napoletana, bolognaise, pesce, cream, pesto or plain with olive oil. The thin based pizza and Calzone, or pizza pocket, are Italian and Roman specialities. Offered with a wide variety of toppings, the pizza is a great meal. The pastries are to die for. You can even enjoy one for breakfast. Just go easy on it, you'll come back with more than extra baggage if not. Gelati is Italian for Ice Cream. Some people will even go straight to the gelati vendors on arrival in Italy, just to kill the craving for a delicious cone. Italians enjoy their Ice Creams, especially in summer. Italian wines are meant to be enjoyed, especially with meals. Red or white or try a rose on a hot summer evening. The major wine regions in Italy include Venezia, Sicily and most notably Tuscany for Chianti. Prosciutto is dry-cured ham. Great stuff. A panini is a toasted sandwich. Available in most cafes, a panini can come with an assortment of toppings. A good lunch on the go. Mozarella, Ricotta, Provolone, Parmesan and Pecorino are just a few of the best known Italian cheeses. A snack type of dish made on bread with garlic and olive oil that can be completed with a variety of toppings ranging but not limited to tomatoes and basil to cheese and mushrooms. When in Rome, try the famous coffees of Italy. For those of you who prefer a western long coffee with milk, ask for an Americano. Peroni and Nastro Azzurro are two decent Italian beers available in Rome. Many of the main hotel sites will have listings for you in Rome or find a hotel with Booking.com. There are loads of hostels in Rome. Prices vary from hostel to hostel but are generally affordable. Search for and book Rome Hostels. If you are planning to visit Rome, do so in style and rent one of many Rome Apartments. A good campsite located 15 minutes by train from Piazza del Popolo is called Camping Flaminio Village. Visit www.villageflaminio.com for more information. Italy has an excellent train network, both urban and rural for economical travel. Best, but pricey way to get where you want to go. 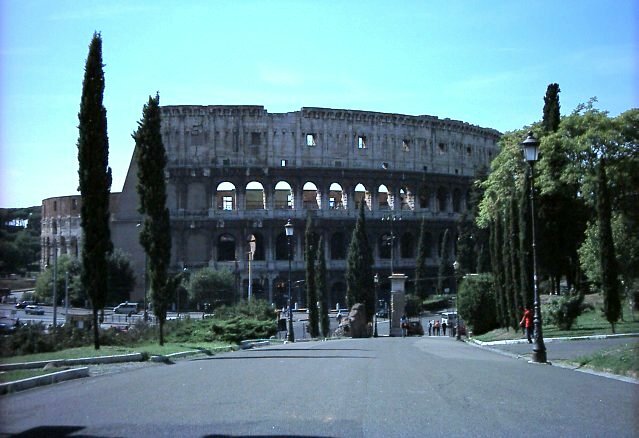 Rome is a bit hectic to drive in and we do not recommend that visitors rent a car. 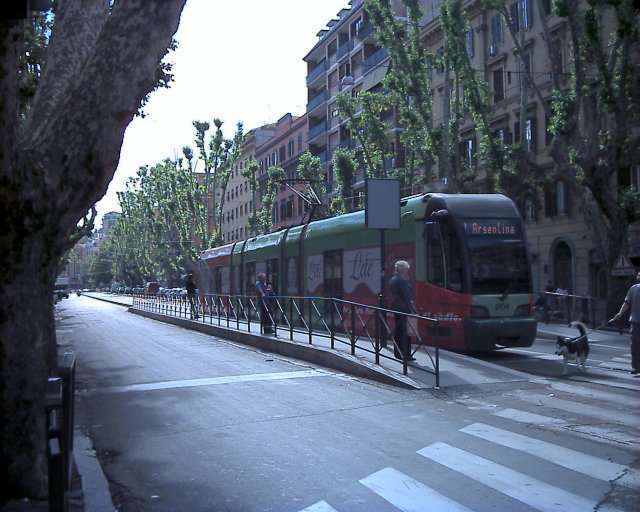 The Roman bus, train, tram and metro systems are effective ways to travel around Rome. The main train station is called Termini Station. Payment is based on an honour system where you validate your ticket yourself on board the bus or train and before entering the metro. The metro is covered in graffiti and is only two lines but it is efficient and on time. For more information on the Roman transport system visit - www.atac.roma.it. You'll end up doing a lot of walking around Rome so take a good pair of shoes and get ready to get tired. You can find bicycle rentals in Piazza del Popolo and Villa Borghese. Italian with English, Spanish and French widely spoken.